COMPARATIVELY few Catholics are now unfamiliar with the nature of Our Lady's apparitions at Fatima, Portugal, in six consecutive months, from May 13 to October 13, 1917, when she gave warning of the dreadful World War we have recently passed through,---the effects of which are still weighing upon the world---and begged for penance and prayer as a means to avert it. When she told the world, through her little seers, that this catastrophe would come if her requests for prayer and penance were not heeded, and wrought a great and unprecedented miracle to prove that she was the Mother of God and to confirm her message, our Immaculate Mother urgently exhorted all Christians to do penance, and offered the Rosary. the Scapular of Mount Carmel, and devotion to her Immaculate Heart as means to avert the impending calamity. Her message left no doubt as to what she wished done. She asked that the Rosary be recited daily, and this request applies to EVERY Catholic throughout the world. 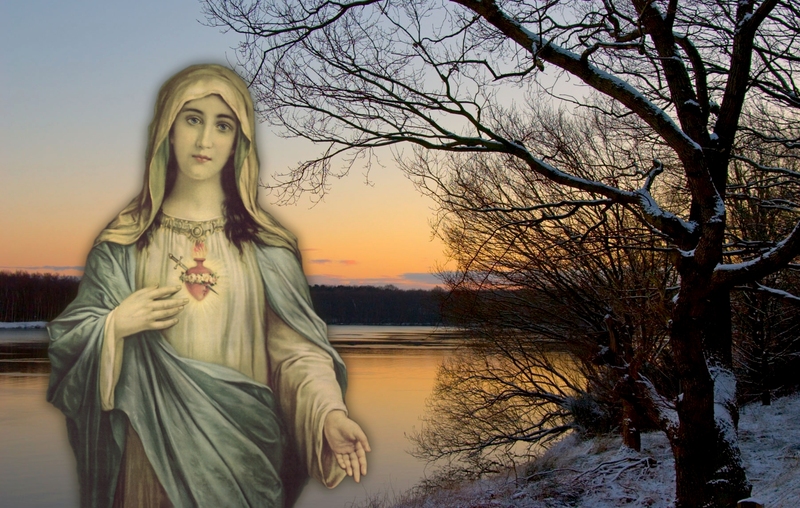 She asked that Russia, the world, and individuals be consecrated to her Immaculate Heart. She laid stress on reparation to her Heart, requesting that on the first Saturday of at least five consecutive months, Holy Communion be received for this intention, the Rosary recited and fifteen minutes spent in meditation on its mysteries, or on anyone of them. To this observance she attached a solemn promise of salvation. 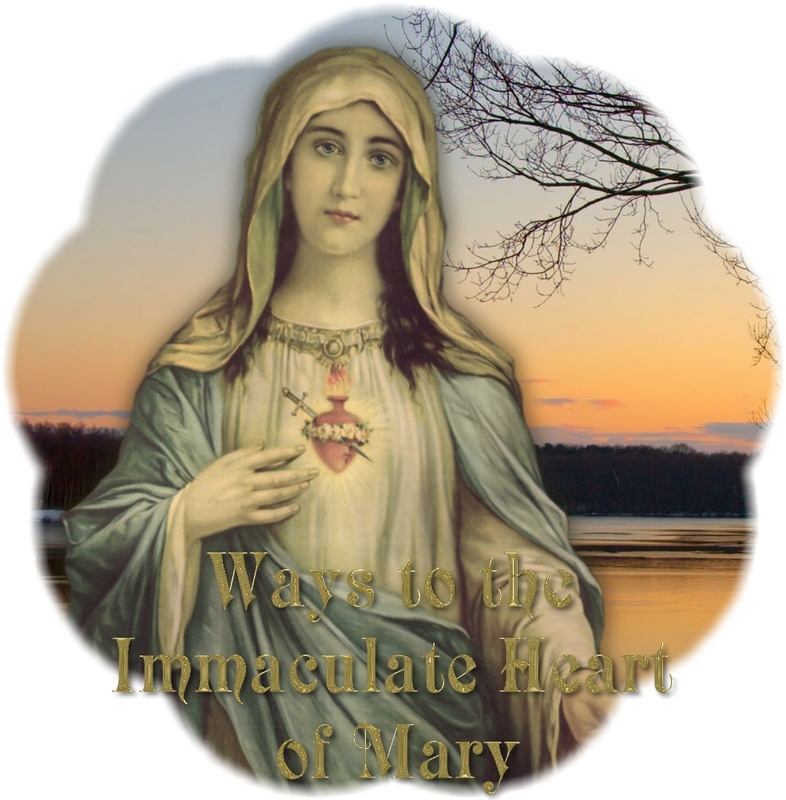 Much has been said and written about the Rosary and devotion to the Immaculate Heart in connection with Fatima, but perhaps not so much about the Scapular which Mary held out in the last apparition. The Scapular of Our Lady of Mount Carmel is in a special way a SIGN of CONSECRATION to Mary and to her Immaculate Heart. It has always been looked upon as Mary's "livery"---a uniform, a habit, a badge, indicating that its wearer has been dedicated to her and placed under her special protection. The Scapular is a "garment" which may be worn at all times and in all places. Among the various scapulars in honor of Mary, that of Mount Carmel is the most famous and most popular. We commemorate its institution on July 16. Most Catholics are familiar with the story of how it originated in a visit of Our Lady to St. Simon Stock, Superior General of the Order of Mount Carmel, in 1251. Holding in her hands the brown scapular, Our Lady promised the saint that remarkable graces and privileges would be granted to those who should become members of the confraternity and wear the scapular with devotion. She assured him that it was a special badge of her favor and protection, and that all who should die clothed with it would be preserved from eternal damnation. Numerous and rich indulgences were attached to it by successive Popes in order to encourage the faithful to secure to themselves the advantages of Mary's powerful patronage and protection. Finally, in a later revelation to Pope John XXII, Our Lady promised the extraordinary favor of release from Purgatory on the first Saturday after death of those members who had faithfully discharged their obligations during life and fulfilled the conditions which she imposed. By merely wearing the Scapular with devotion (after being duly enrolled), one may gain all the general privileges and indulgences attached to membership in the confraternity. But in order to participate in the very special favor of early deliverance from Purgatory, known as the SABBATINE PRIVILEGE, one must in addition recite every day the Little Office of the Blessed Virgin [NOTE] and practice the holy virtue of chastity according to one's state of life. If, because of inability to read, one cannot recite the Office, he must instead abstain from flesh meat every Wednesday and Saturday as well as observe strictly all the ordinary days of fast and abstinence throughout the year. If in either case this is not possible, a commutation may be obtained from some priest who is duly authorized. [ALL CONFESSORS NOW HAVE THIS FACULTY.] In practice, both of these conditions are quite often commuted in favor of the daily recitation of the Rosary. One who is thus permitted to substitute a daily Rosary for the above-named condition of reciting the Little Office or of fasting, in order to gain the Sabbatine Privilege, at the same time fulfills Our Lady's request at Fatima. Hence, the Scapular and the Rosary go hand in hand, as it were. There is a tradition that almost seven hundred years ago, Saint Dominic uttered these prophetic words: The Rosary and the Scapular will one day save the world. And this is exactly what Our Blessed Mother promised at Fatima. We know that diabolic forces are now working harder than ever in an effort to overthrow and wipe out Christianity. Many European countries have been forced under a godless rule, and the Church has suffered and is suffering frightful persecutions. Our own America is threatened by the insidious serpent of atheism and secularism in every aspect of its civilization, its institutions, and even in its Constitutional foundation. But there is no reason to despair, for God has given His solemn promise that the Church will endure till the end of time. Nevertheless, the enemies of God can inflict grievous wounds upon the Church, and have already done so in many countries. It is for us to do our part in overcoming these enemies and averting these dreadful evils. And Our Blessed Mother has told us plainly at Fatima what she wishes us to do. She has given the solemn promise that if we fulfill her request of prayer and penance, consecrate ourselves to her Immaculate Heart, and live up to that consecration, Russia will be converted and there will be world peace. Oh, then, let us listen to her message before it is too late! Let us give ourselves wholeheartedly to her Immaculate Heart, and honor it by reciting the Rosary every day and devoutly wearing her Scapular. Let us also do penance, as she requires. It is not too hard. When Sister Mary of the Immaculate Heart [Lucy], one of the seers of Fatima, was asked what was meant by the sacrifices and penance Our Lady asked for, she replied: "Our Blessed Lady said that by sacrifice she meant the fulfillment of duty." It is as simple as that. In our lives we meet with many sufferings and hardships. We need only accept these patiently and cheerfully and offer them to God in reparation. Conditions that are the aftermath of the war, such as over-crowding in the home, inability to buy necessities or the luxuries we heretofore enjoyed, etc. ; the inclemency of the weather, sickness, the failure of our plans, and similar inconveniences; all these can be offered as penance, for they are indeed the penances God Himself inflicts upon us. We can do a great deal more in the exertion involved by attending Mass and receiving Holy Communion, which has great power of reparation if done with this intention. Any work conscientiously performed, sorrows and afflictions, how many things suggest themselves to our minds as acceptable sacrifices. And of course there is always voluntary self-denial or some self-inflicted pain or inconvenience, which has great value as penance. Our Lady is full of love, mercy and compassion, but she can neither love, reward nor protect those who are disloyal to God and who spurn her favors. If we wish to share in the benefits of her all-powerful patronage and intercession, we must avoid sin and give her our love and faithful service. We can then be sure even of miraculous intervention, if need be, in order to assist us. She will scatter the enemies, and increase the strength of her loyal subjects and faithful servants, so that salvation and sanctification will be made comparatively easy, and efforts to reach Heaven will be crowned with success. Let us remember that Hell trembles at the name of Mary. The Rosary and the Scapular will make this powerful name ring all over the world, and through her Immaculate Heart, Mary will once again triumph over the infernal serpent, whose head she crushes under her foot. Are we going to respond wholeheartedly to her invitations? There is only one way to do so. It is to act, to do what she asks, to fulfill her requests. This is modeled after the Divine Office, the official prayer of the Chnrch, and consists of eight divisions called "hours," to be said at various times during the day. In general, each is made up of a hymn, three psalms, and other prayers, so that con. siderable time is required for the proper recitation of this Office. Priests, religious, and others who pray the Divine Office, thereby fulfill the condition for gaining the Sabbatine Privilege.